This year has produced some wonderful books this year and for the dog lover who enjoys reading, some wonderful choices are available. One of the most recent entries is focuses on one of the most beloved, and far too often misunderstood, breeds and mixes, Pit Bulls. 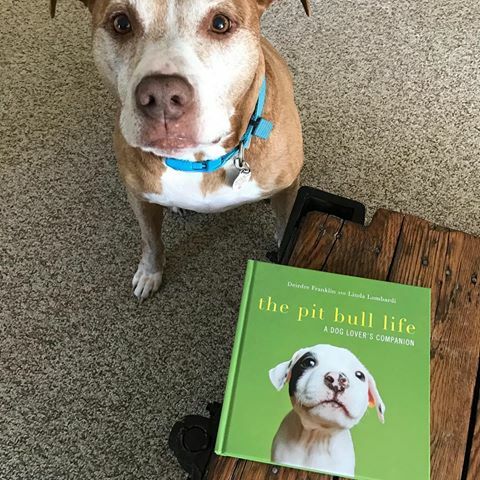 The Pit Bull Life: A Dog Lover’s Companion, is a brilliantly crafted work that tackles a spectrum of issues from addressing why these dogs are often homeless to how to react and respond to media to make sure correct information is disbursed. The authors, Deirdre Franklin and Linda Lombardi, have taken a thoughtful, well documented, approach that discusses how Pit Bulls were once viewed and the perception today.